Celebrate the 25th anniversary of the Grammy Award-winning Brooklyn Youth Chorus and the launch of their yearlong artist residency at WQXR. Hosted by Q2 Music’s Helga Davis, the evening’s program will share the music of composers who have shaped the Chorus’ artistic development and helped expand the boundaries of choral performance. 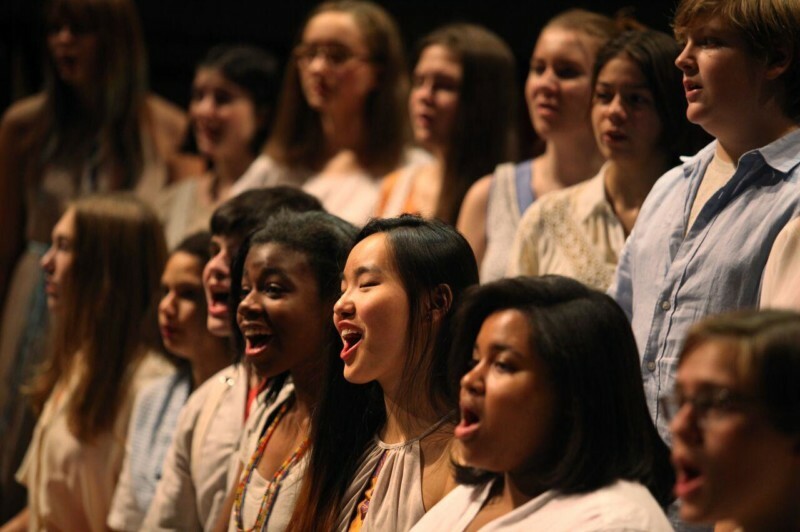 Also featured will be a preview of the Chorus’ new project, Silent Voices — a yearlong initiative that harnesses the power of young people to inspire change and give voice to those silenced or marginalized by cultural, social or religious factors. Featured composers include Jeff Beal (“House of Cards”), Nico Muhly and Shara Nova (Silent Voices), as well as Bryce Dessner, Caroline Shaw, Richard Reed Parry and Ellis Ludwig-Leone. Celebrating its 25th anniversary, the Brooklyn Youth Chorus serves as WQXR’s 2016-2017 Artist-in-Residence. Throughout the season, the Chorus appears in The Greene Space at WQXR, performs at venues around New York City in concerts webcast live on Q2 Music, and will be featured in associated on-air and online programming at wqxr.org.